How long will it take our team to do a new boiler installation? You are here: Home / Welcome to our Blog / Boilerhut / How Long Will It Take Our Team To Install Your New Boiler? Once you have decided that it is time to replace your old boiler with a new boiler installation, while you are looking at whether you are going to have the work completed by your energy supplier or a professional boiler installation company like Boilerhut, you will probably be eager to know how long it will actually take to install your new boiler. On this page, you will find a full breakdown of how long it usually takes Boilerhut to complete a new boiler installation. At Boilerhut we have ensured that the process of getting a quote for a new boiler installation is as easy and simple for you as possible. It only takes around five minutes and can be completed online. Once you have entered in your postcode, you will be taken through a series of questions that help us to better understand the current boiler and heating system you have in place and how much it will cost to install a replacement. Of course, the more complicated installations require talking with a trained surveyor on the phone. If you would prefer to speak to one of our friendly and helpful team members, you can simply call us on 029 2009 9898. As no two new boiler installations are ever the same and depending on how straightforward or complex your boiler set-up is, from quote to installation, it can take between 24 and 48 hours to complete. The most straightforward new boiler installation job would be one where you simply want to replace your current boiler because it is no longer functioning properly or beyond repair, with a similar model. As the location is the same and the set-up should be virtually the same, our team can use the existing pipework (if it’s in good condition) and this can take as little as one day to complete. It may take a little longer if we are unable to connect the existing pipework to your new boiler. Or if as per the updated building regulations, your gas run needs to be upgraded. Even with this minor setback, it is realistic to expect that we could install your new boiler within a day. What if you are buying a similar boiler as a replacement, but need it to be fitted in a new location? The installation will take a little longer, as our engineer will need to cap off your current gas pipework and run additional pipework to the new location. There may need to be some adjustments made to sections along the pipework to ensure radiators heat up. An installation of this type may take anything from 1.5 to 2 days. A general rule of thumb is, the further away the new location of your new boiler is to where your current one is installed, the longer it will take and the more expensive it will be. In comparison to a simple new boiler installation, system upgrades are more complicated, so it will add considerable time to the new boiler installation. If, for instance, you are installing a new boiler that is different to the old type of boiler you have. This is what is classified as a system upgrade. An example of this could be switching a back boiler for a combi, or a system boiler for a combi and so on. Why does a system upgrade take longer than other installations? To explain, take switching a system boiler for a combi boiler. As one (the system boiler) features a cylinder, and the other doesn’t, the engineer needs to first take away the cylinder and then re-pipe your central heating system. If you are doing things the other way round, switching a combi boiler for a system boiler, then additional time is required for installation of the cylinder and new pipework. With all of this in mind, a system upgrade could take anything between 2.5 to 3.5 days to complete, depending on accessibility and the complexity of your installation. Whenever you decide on a new boiler installation, you need to flush your existing radiator system out. (Unless you are installing brand new radiators). A chemical-rich hot flush will push out the majority of debris left in your old system. Now, while a power-flush will do a much better job of that, a major downside to power-flushing is that it can put extra pressure on old copper joints, pipework and radiators. If your central heating system is particularly old, power-flushing may cause old pipes to develop leaks. Another downside is that it takes a lot longer. A power-flush can take anything up to 8 hours and that depends on the number of radiators there are in your home. This will increase the time for a new boiler installation, and can add considerable time. An effective and efficient alternative is a hot chemical flush, with a magnetic system filter fitted. This will ensure any debris, such as rust inside radiators, or sludge that is pushed around inside the system, will be caught and removed. A hot chemical flush normally only takes around 1 to 2 hours, and won’t adversely affect the time-frames for your actual boiler replacement. Although most older models of boilers only required a pipe around 15 mm in length to provide enough gas to function properly; updated Gas Safe regulations and modern boilers need at least 22 mm of pipework as a bare minimum for a new boiler installation. Depending on your gas run length then, it could be that you will need as much as 28 mm or even 35 mm. Further to this, if your gas run is out of date or needs to be updated, this will obviously take extra time. Gas upgrades can take anything between a number of hours to a few days. A gas run upgrade won’t add any noticeable time to your installation. It is worth having the Boilerhut team come in and inspect your gas run and property before you arrange time off work. As you can see, new boiler installation depends on a lot of different factors. Please get in touch with Boilerhut to see how long it will take to complete your new boiler installation and we will be able to quote you a reasonable and competitive price. If you are struggling to pay for a new boiler yourself or can’t get finance, but are on certain qualifying benefits, thanks to the Affordable Warmth Scheme from the UK government, known as ECO (Energy Company Obligation), there is help available to replace the cost of an Oil, LPG or Gas Boiler. The funding was set up by the UK Government to help vulnerable customers on low income to improve the energy efficiency of their home. So, to simplify this, the lower the efficiency in the home, the more funding is obtained to replace the boiler, and can mean that you may be able to obtain FULL funding for brand new replacement . These non-repayable grants are controlled by the ‘Big Six’ energy companies, namely EDF, EON Scottish Power, NPower, SSE, and of course, British Gas. What’s in it for the Energy companies? 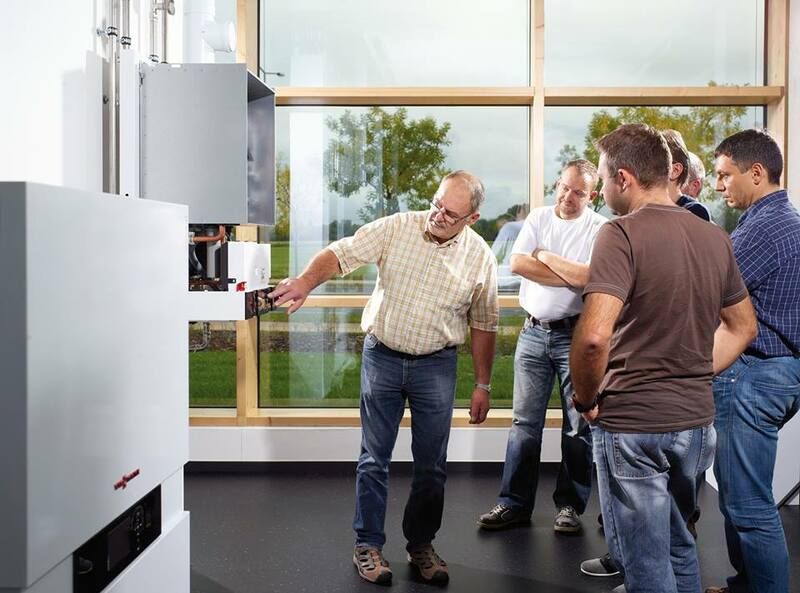 Quite simple, they are buying your carbon reduction as you are going from an old and inefficient boiler to a new A Rated High Efficiency boiler. Your boiler is broken down and beyond repair. Grant vs Worcester Bosch When Is The Best Time To Replace Your Old Boiler?